Christmas holidays can be a great time to visit the Museum. Keeping everyone in the family busy over Christmas can be a challenge once the new presents have been opened. Many families find a day out at the Museum is a great way to get some exercise and enjoy learning about the history of aviation. Here’s our guide to what’s on at the Museum over the Christmas period. Opening Hours – Our opening hours are as usual 10:00 to 16:00, being closed only for Christmas Day, Boxing Day and New Years Day. Full details and more information on our Plan Your Visit page. Seven reasons why families enjoy visiting the Museum. With over 60 historic aircraft and vehicles, our collections span the entire history of flight from the early pioneers of aviation through both world wars and on through the Cold War era. If you enjoyed following the progress of our Mirage IV journey from France this summer, now is a great time to come and see this magnificent supersonic nuclear jet up close. 75 years after her death, learn about local aviation heroine Amy Johnson and listen to a recording of her talking about her Gypsy Moth biplane ‘Jason’ upon arriving in Australia in 1930 after flying 11,000 miles on her own. While you’re there, you can also have a go at designing your own aircraft on our design simulator. Climb aboard one of the world’s most famous military transport aircraft used by the Allies during WWII. Most days the big doors used for loading cargo or dispensing paratroopers are open for visitors to climb inside and experience that steeply inclined floor up to the old cockpit. 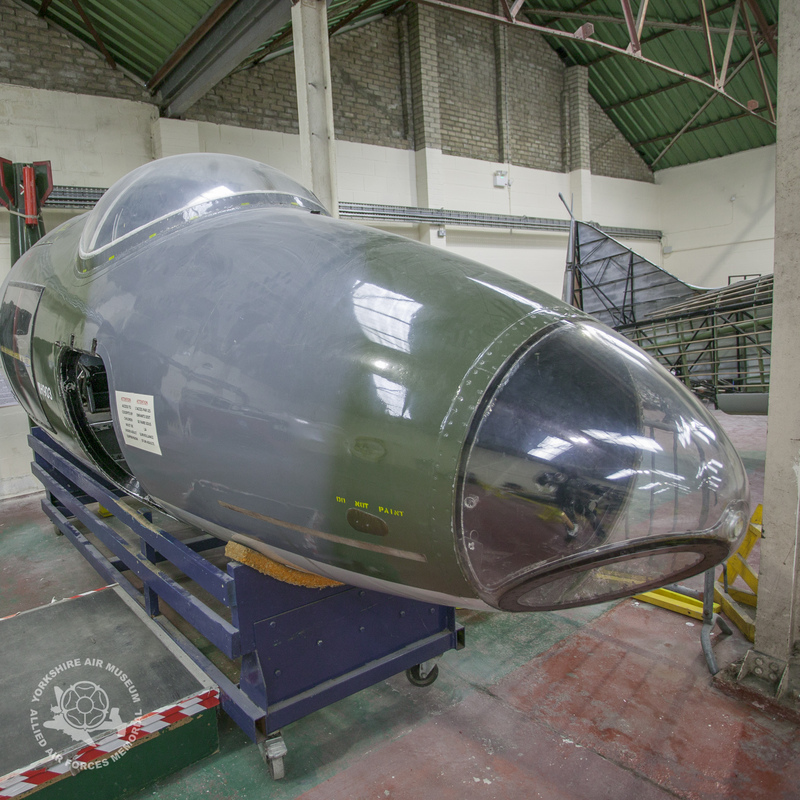 Talk to the people who restore and maintain our fleet of historical aircraft and see them at work. Despite it being winter time, you will often find members of our engineering team working on winter overhaul work on our live aircraft. Our Canberra Bomber cockpit is exactly how the aircraft was configured in active service. Alongside the Canberra, we have a Jet Provost cockpit, giving you a chance to experience the environment that trainee fighter pilots learned their trade in. Watch out for the impressive nuclear bomb while you’re there. Here we have a whole range of authentic, fully working period radios carefully tended to by our expert volunteer team. Learn more about these devices, take a look at our Special Operations Executive (SOE) radio concealed inside a suitcase and learn how to spell your name in Morse Code. Be a ‘tail-end’ Charlie. Have a go at our air gunnery simulator*. Your aircraft is attacked by six Me110 twin-engine fighters and you have a magazine of 57 rounds to defend yourself! Find out how the Zeppelin was born, how big it was, what made it fly and what is was originally used for. Learn about England’s response to the new threat of air raids. Additionally, our NAAFI style restaurant serves a diverse selection of food, warm drinks and snacks just in case the Christmas lunch begins to wear off. Make sure you collect your free copy of our family map at the main entrance, a great way to keep the whole family engaged and find out more about the history of aviation and also more about the aircrews who served here at this original World War Two airfield. If you enjoy your visit, be sure to review us on Trip Advisor, our volunteer team love hearing more about our visitors once you’ve departed for home.